In WooCommerce 2.4 we now have a tab in the settings dedicated to our Rest API. Previously these options were scattered around in the general and webhooks tab and user pages. These are now grouped. In addition, API keys are no longer found within each user profile. Everything is grouped and a user can have multiple API keys. Previously a user could only have 1 key. In 2.4 it’s easy to organise your keys and know what each key was generated for and when it was last used. 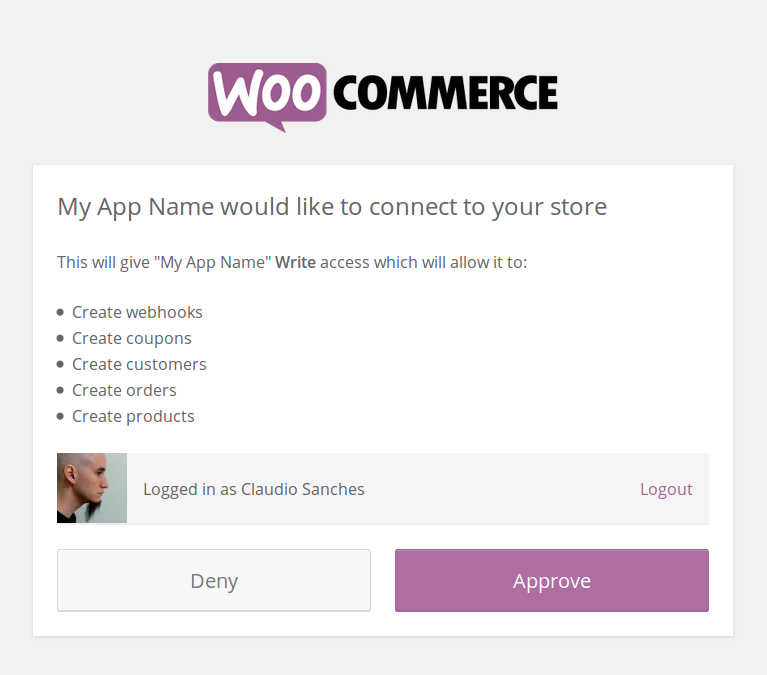 Our authentication endpoint allows easy integration between WooCommerce and Apps, since the API keys are created with just one click from the store manager. This facilitates the integration, especially for Apps on mobile devices. To generate a URL for our authentication endpoint is quite simple. These are great improvements that will be useful in my projects. A big thank you to everyone who worked on it! Since keys can only be viewed at the time they are generated, what happens existing keys from 2.3? Will be moved to this new screen, they continued to operate as before, but you’ll not be able to copy them as before. Thanks. I asked because I tested and got a different behavior. I’ll create an issue. Now that the CK and CS is not stored in the USER, how do we go about retrieving that data similar to the method above? You can’t recover now the consumer key once it has been generated, it turns into a hash. This is great. I just integrated my app with Woo but I have a concern. When I call this API, it presents me with a login screen first. Is it possible to send username and password through this endpoint, so that it shows the Approve, Deny page directly? No and would not be secure sending username and password too. Thanks. Is there any other way to get API keys? I find that logging in twice (first create user account and log in, then login again to approve via an app not very user friendly. 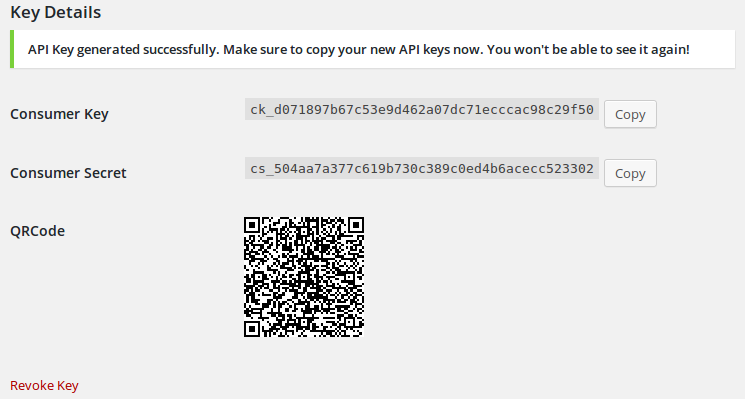 Yes, you can ask the user to copy and paste the API Keys without this authentication endpoint.